* Enter through 400 Saint Catherine St. East (south-east corner of Saint Denis and Saint Catherine) and take the escalator to the 1st floor. A video by the 17-year old deportee will be shown. “Daniel” describes the devastating impact of his deportation all alone to Mexico last fall. 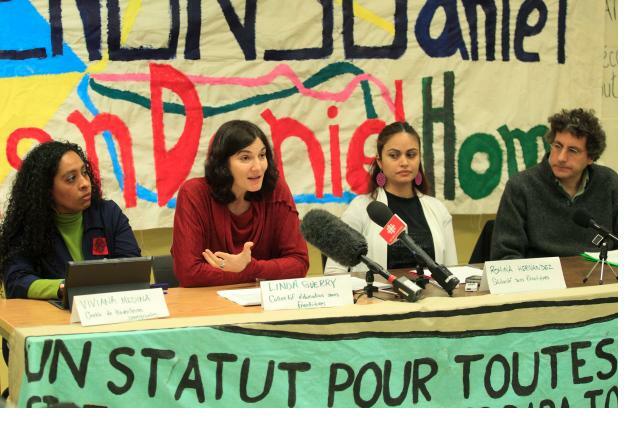 The SPVM arrested Daniel, an undocumented teenager, in a Montreal high school on October 8th, 2014 and handed him over to border police. The school is suspected of having denounced the youth and the Commission des droits humains et droits de la jeunesse du Québec is investigating. 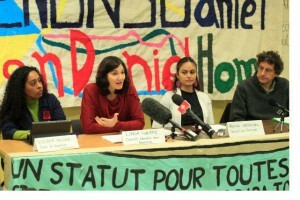 Daniel lives alone in Mexico in very difficult conditions, separated from his family who live in Montreal.